This fitnat, which is only briefly referred to here, is quite reminiscent to the video included above of the son of Khuzaima, Abdeali. This video was taken in Ujjain in 1433H during the Ashara waaz. Shehzada Qaid Johar BS also confirmed in his letter to the Hindustan Times in April 2013, that Khuzaima himself had congratulated Syedna Mufaddal TUS on becoming Mansoos of Syedna Mohammed Burhanuddin RA. 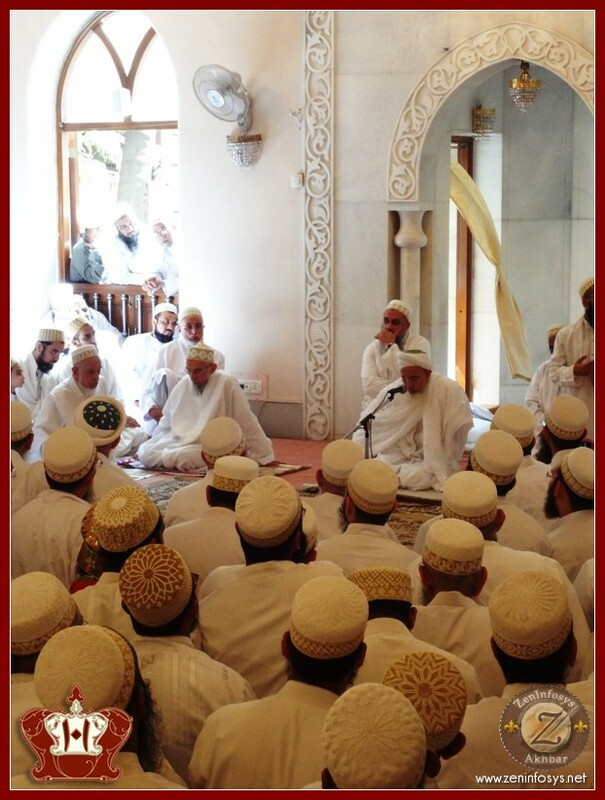 On Khuzaimas previous site, http://www.Tahiyaat.com, in the events section there was news that Khuzaima himself had presided over the Majlis of the Urus of Syedna Noor Mohammed Nooruddin on 4th Rajab 1432 (the day after the London Nass was made public), where the bayaan of Shehzada Qaid Johar BS regarding the Nass was relayed. Khuzaimas team have now removed that site and forwarded the domain to their current site, thus destroying all evidence. There are also many instances when Khuzaima has talked about the Nass on Syedna Mufaddal Saifuddin TUS after 1432H (when the nass was made public) and done dua for him. The mumineen of America, Canada and Secundrabad are witness to this. Below is an old screen shot of a page from Khuzaima Qutbuddin’s official website http://www.Tahiyaat.com. In the news section it mentions that Khuzaima did sit over the Majlis in which the Nass recording was relayed from London. The site accepts the Nass, and refers to Syedna Mufaddal Saifuddin TUS as “al Mawlal Ajal Syedi Ali Qadr Mufaddal Saifuddin TUS”. As expected, this site has now been deactivated, and all evidence has been destroyed by Khuzaima’s team. This screen shot was saved 3 years ago, and sent to me recently by a viewer of this page. No matter how much how one tries to conceal facts, the Truth will prevail. Is this not inkaar after iqraar?